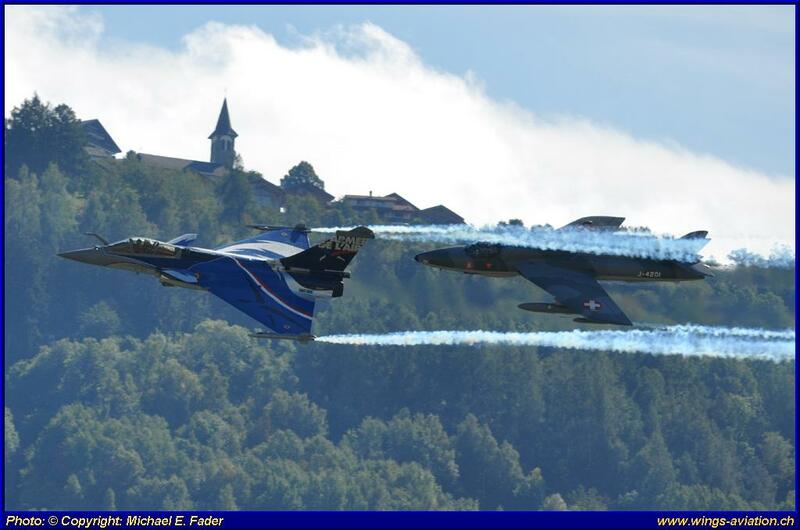 Six years had passed since the last Breitling airshow in Sion took place. The 2017 event was again a three day affair in the middle of September. All three days featured a slightly different program with some of the actors only displaying on one day. 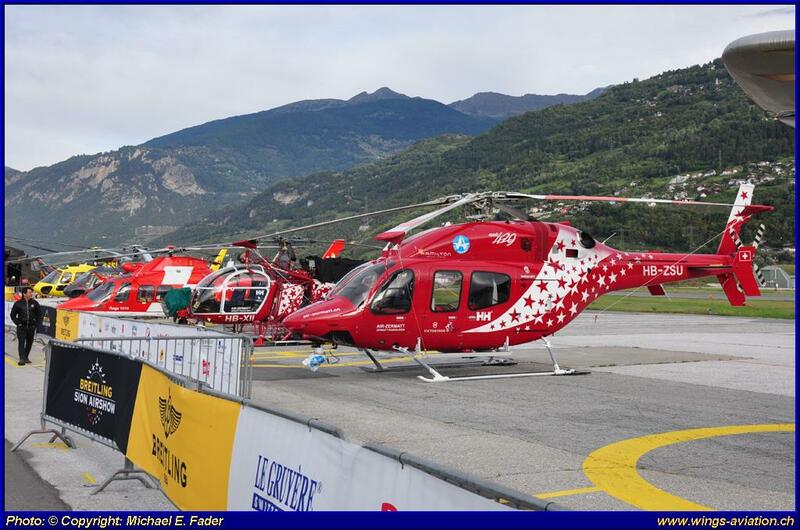 We from Wings-Aviation decided to be on site on the Friday and Saturday, as these two days promised the best selection of the weekends flying. Being partly working days we also hoped for less traffic and less crowds. The organizers were extremely lucky with the weather. 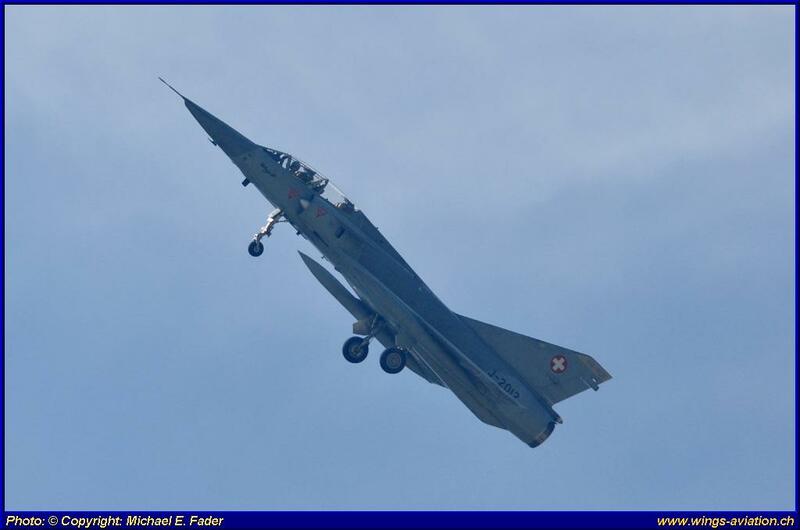 Besides some clouds and cold winds, the weather cooperated nicely, unlike the last airshow in 2011 which suffered badly. The resulting audience of about 50’000 visitors helped the organizers to operate without a loss. 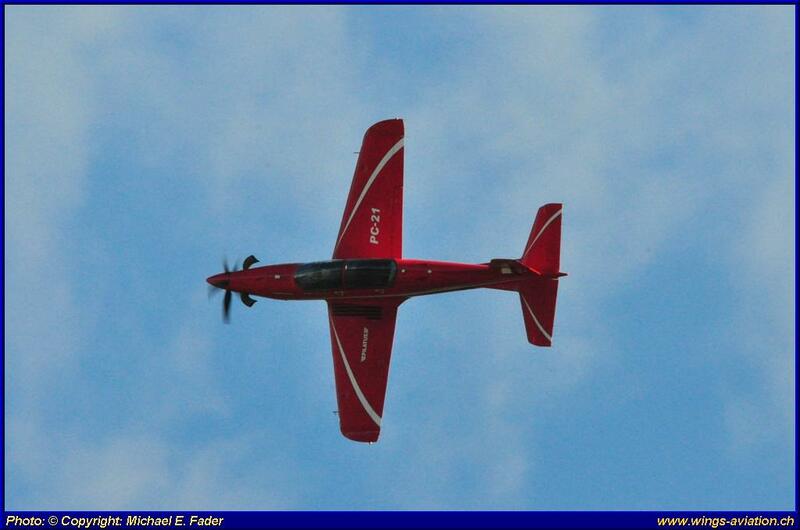 As is usual at airshows, some of the announced aircraft didn’t show up for various reasons. 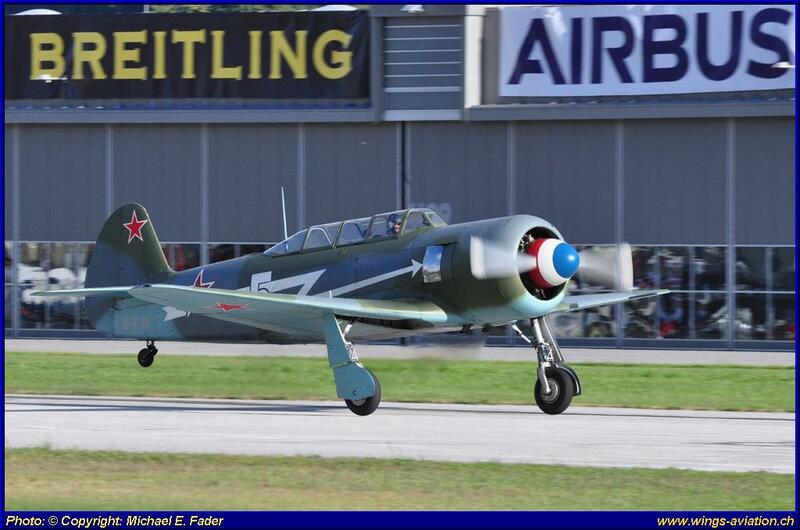 The only disappointing fact about the show was the height at which the aircraft flew. 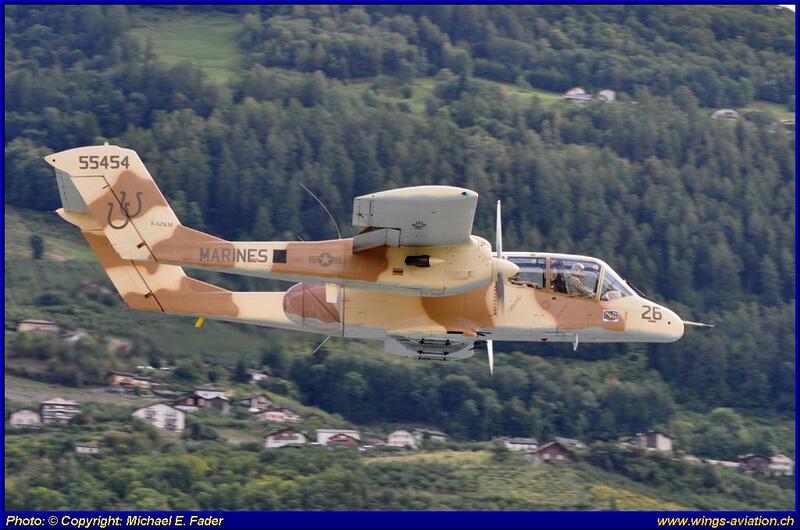 500 feet above ground might not be much for a fast jet, but for small aircraft like a Bücker Jungmann this was a lot. 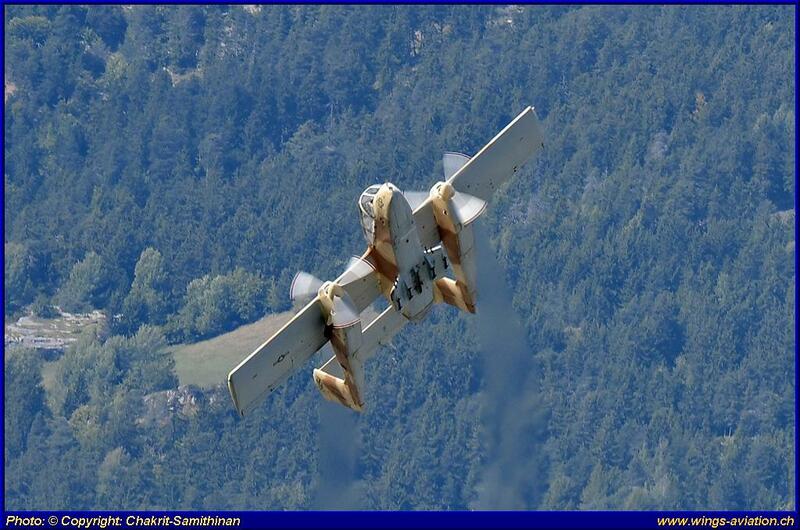 As a consequence of this it was only possible to take pictures of these small aircraft during takeoff and landing. As it looks now, this may well have been the last Breitling airshow. One week after the show Breitling announced that they would retire from aviation sponsoring. There was a good mix of classic aircraft, from biplanes to warbirds and first and second generation jets. 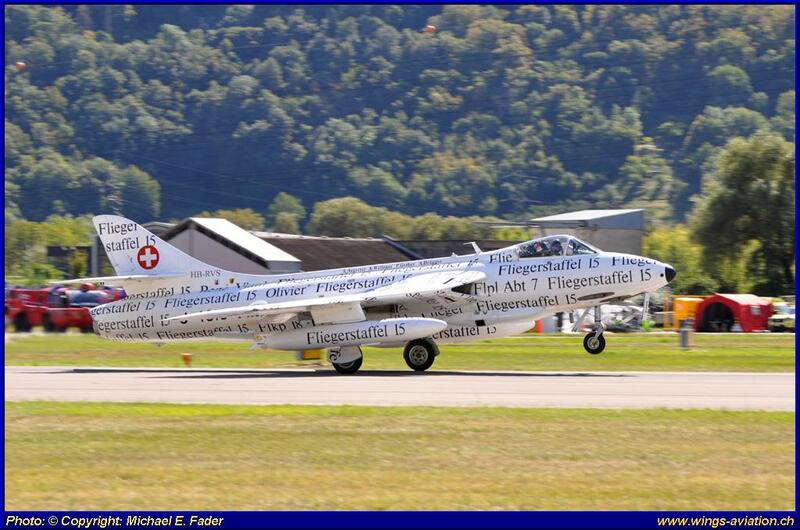 Very attractive were the pairings of the Hawker Hunter with the Morane and the Rafale. This was unfortunately also the cloudiest part of the airshow. 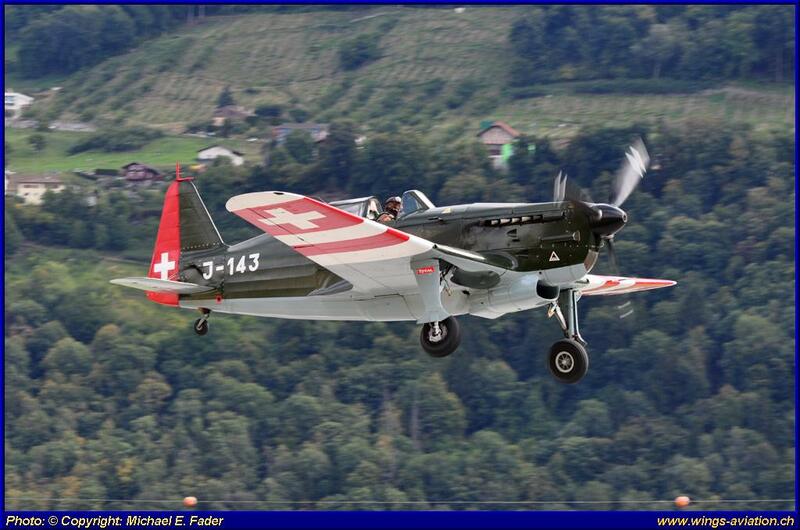 The Comte AC-4 was produced in Switzerland between 1928 and 1930. Total production amounted to eleven, so it is surprising that four of them survive to this day. 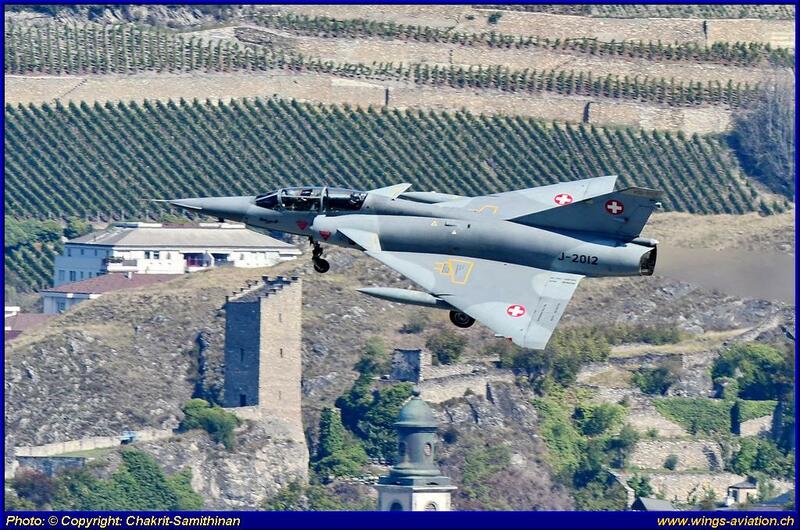 The example flying at Sion is based a bit further up the valley at Raron. 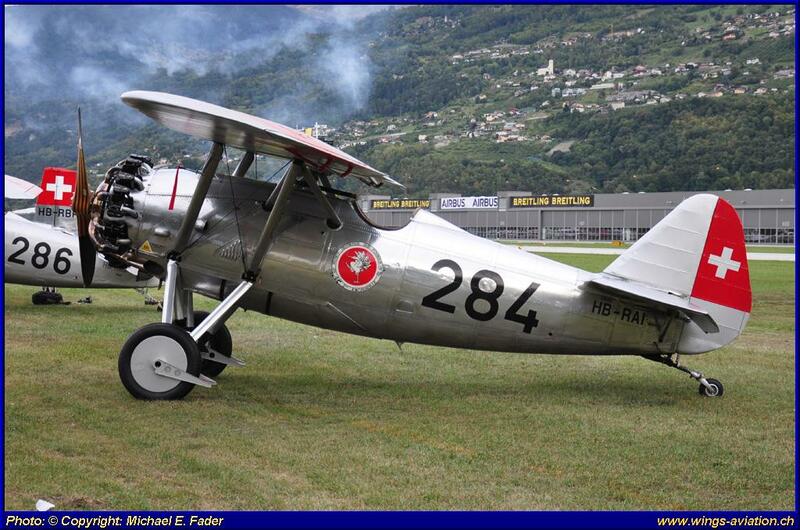 The DH Moth Major DH 60 and the Bücker Jungmann represented the biplanes from the thirties. Warbirds were well represented by a Spitfire, Jak-3, a P-40, the Hawker Hurricane and the Swiss Morane D3801. The extreme height at which these aircraft had to fly to respect the regulations meant that they were a bit far away for photography. Only the P-40 seemed to interpret the rules a bit more generously. The Harvard looked great in its highly polished natural Metal finish and flying the flag for the sponsor of the airshow. 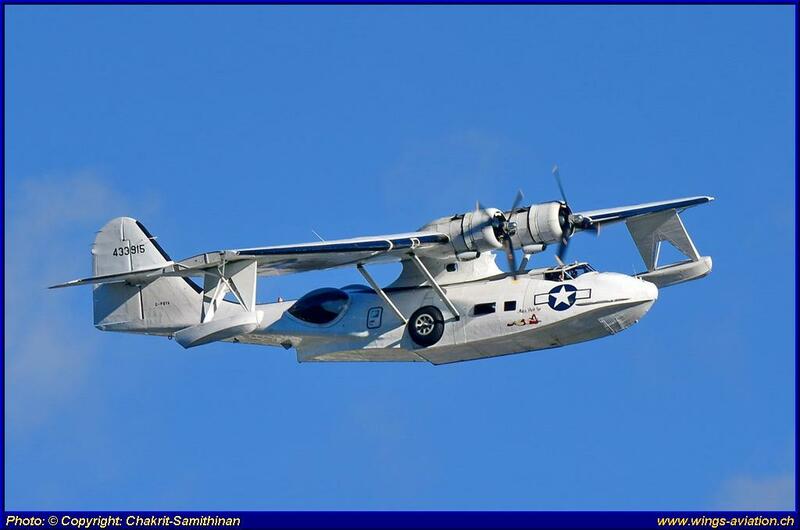 The heaviest aircraft was of course the Catalina, which made an unusual sight in between the mountains, as its main theatre of operations was over water, in antisubmarine and search missions. 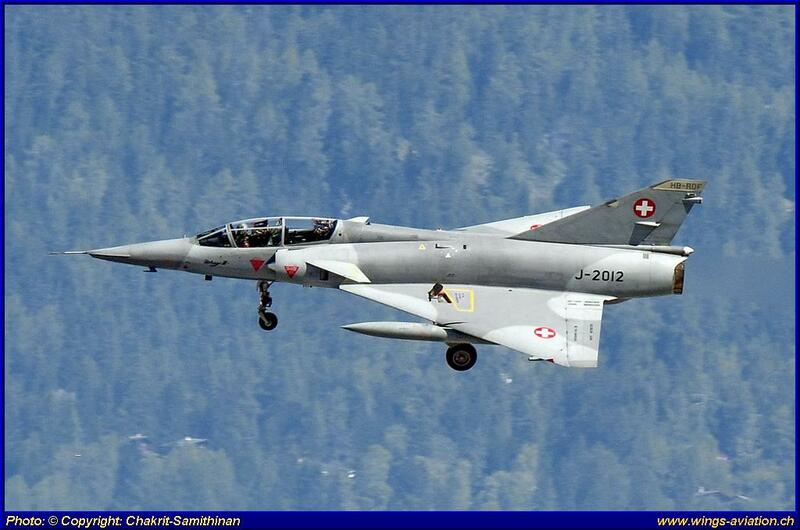 Finally the Swiss Air Force Types Vampire, Mirage III and Hunter made an appearance. 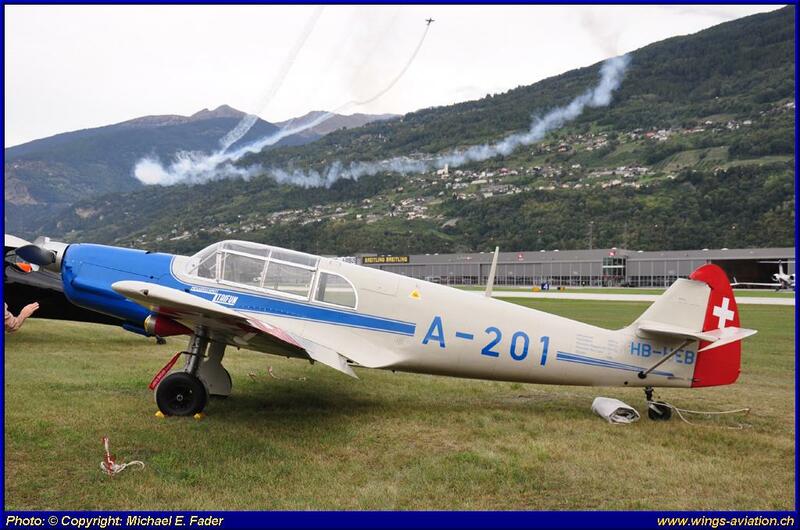 The Hunter two seater owned by the Amici dell’ Hunter and based at Sion was built in 1955. 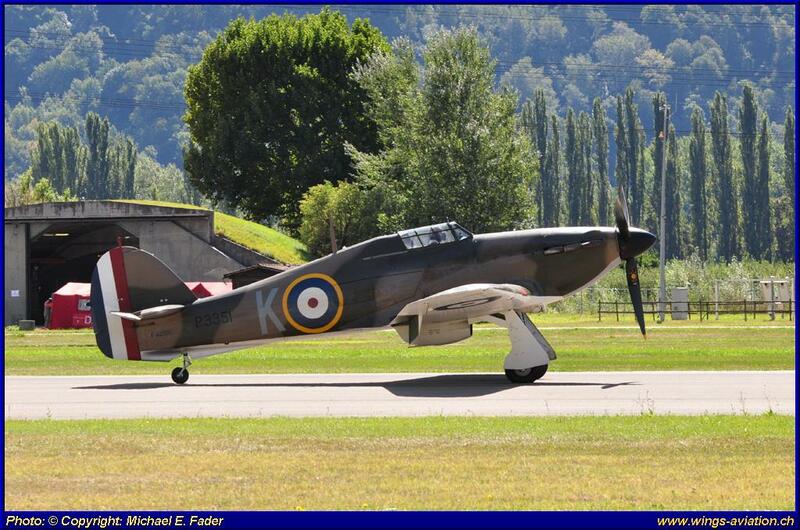 It served with the RAF and was retired as an instructional airframe. It was bought by Hawker in 1972 and converted to a two seater. 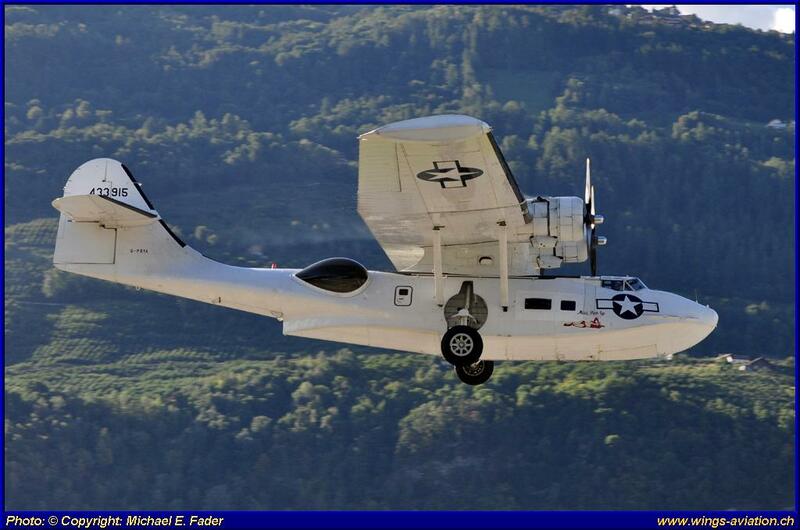 Delivered to Switzerland in 1974 it flew in the Air Force until 1994. 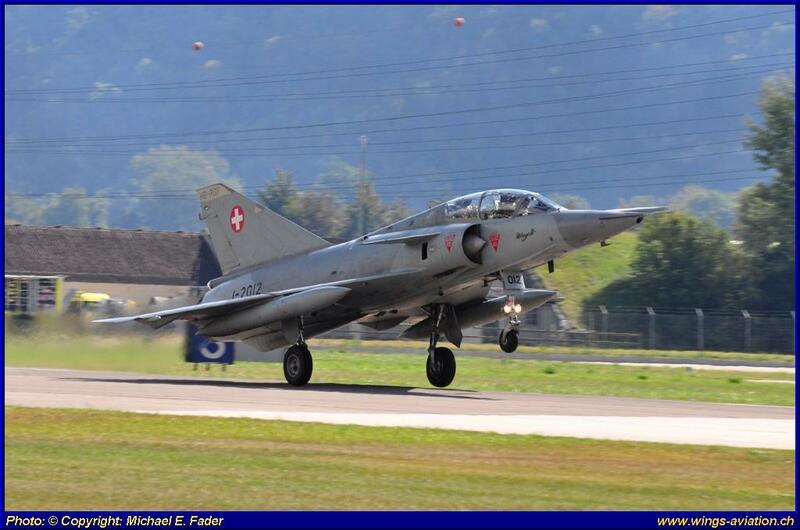 The Sion airshow has been labeled by some journalists as a flying competition between the contenders for a new Swiss Air Force Fighter. This was rather wishful thinking, as there isn’t a shortlist yet and it is too early in the process of evaluation. This is another success story for the Stans based Pilatuswerke. Thanks to its advanced cockpit design and almost jet like speed it makes a dedicated jet primary trainer unnecessary. 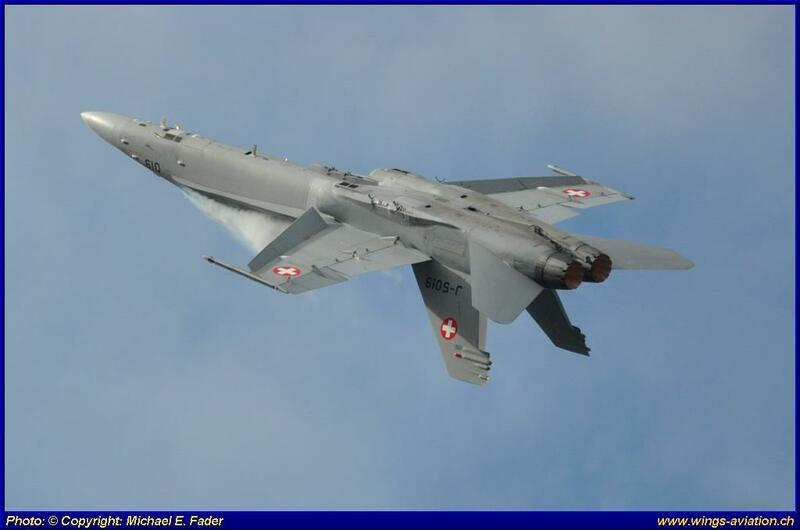 Swiss pilots progress directly from it to the F-18. 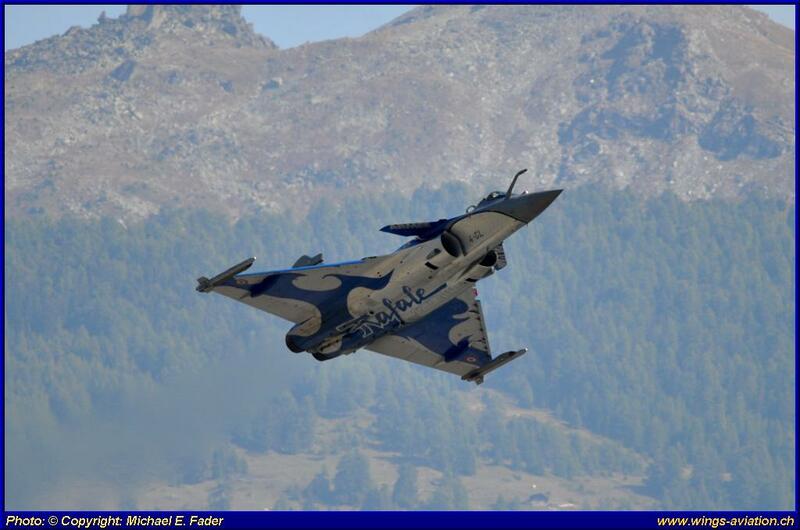 Many Air Forces, among them Australia and France have already placed orders. 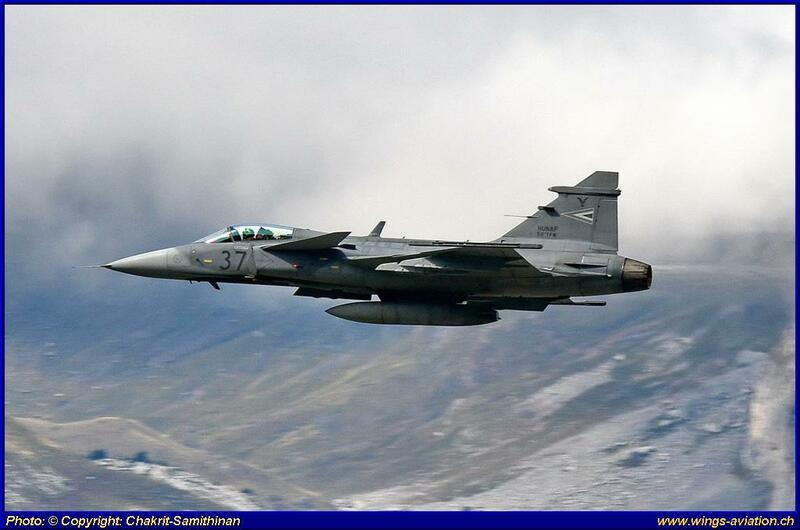 The Gripen was declared the winner of the last fighter evaluation in Switzerland. However, the decision was defeated in a referendum against the purchase. 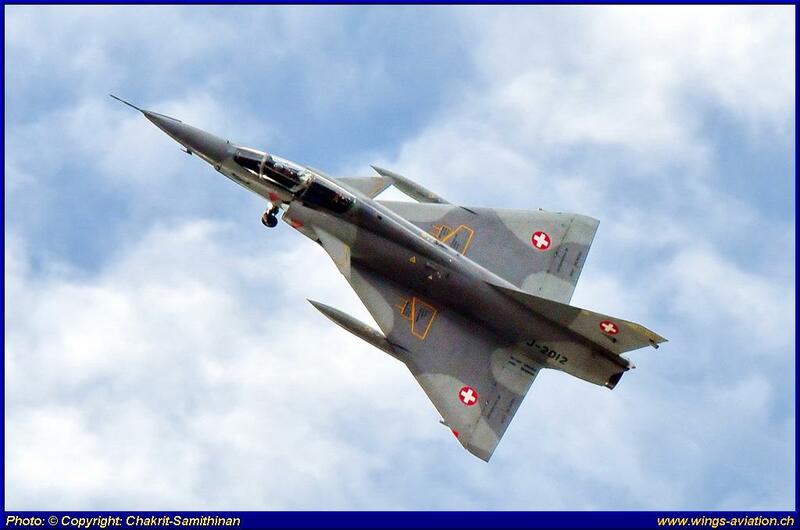 This example came from the Hungarian Air Force which is leasing their aircraft from Saab. The display was rather disappointing however. 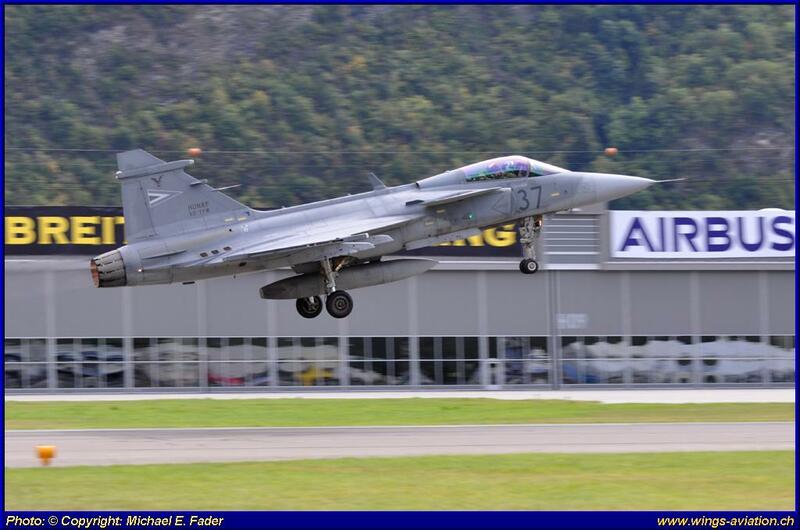 No comparison with the one at the last Sion airshow that was given by a Saab test pilot. This was another one of the contenders from the last competition. 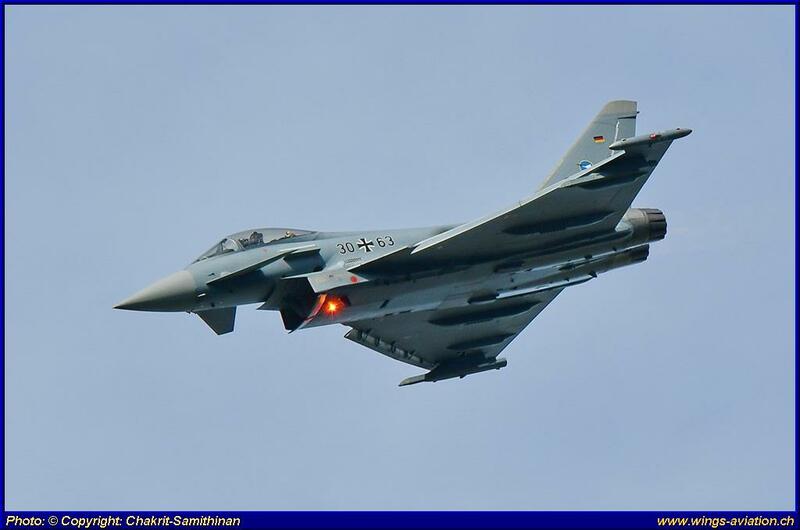 It was flown by one of the Eurofighter test pilots. 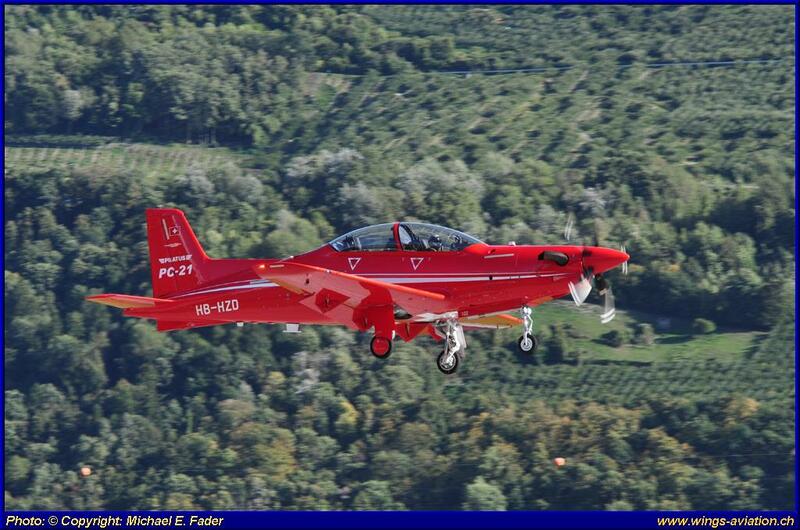 The performance was good, but not outstanding compared with the other displaying Jets. 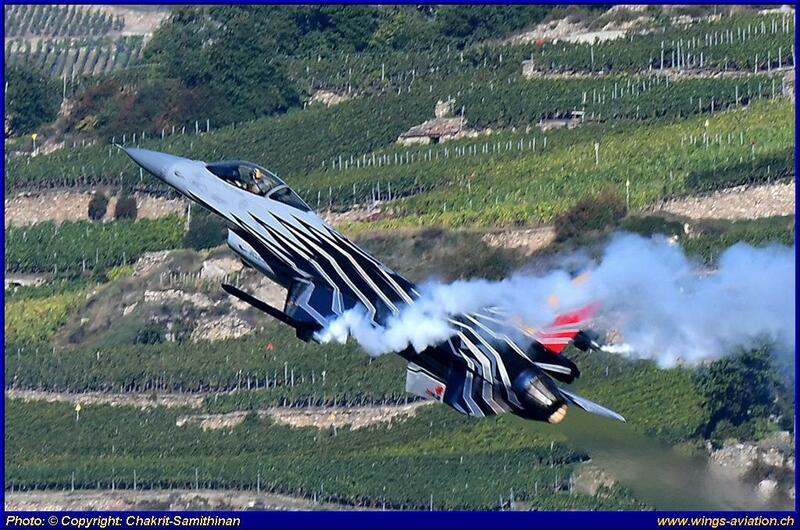 Now this was the best display of the three contenders for the new fighter aircraft. 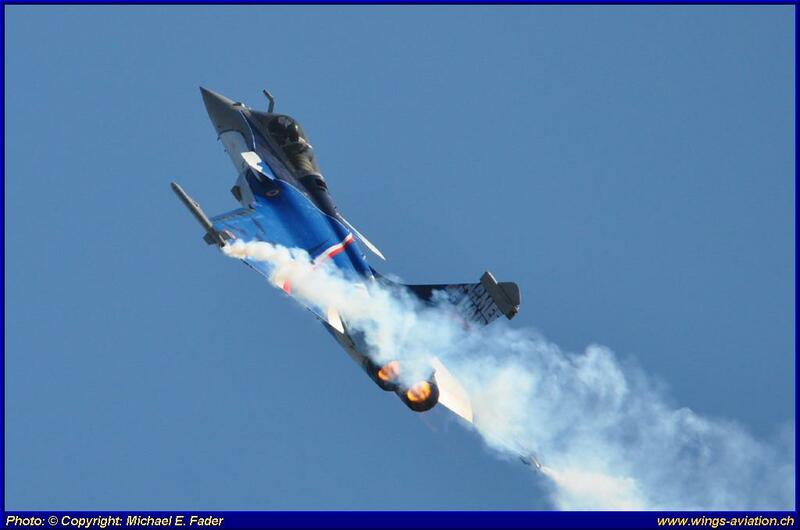 The pilot from the French Armée de l’Air really showed the capabilities of his aircraft. 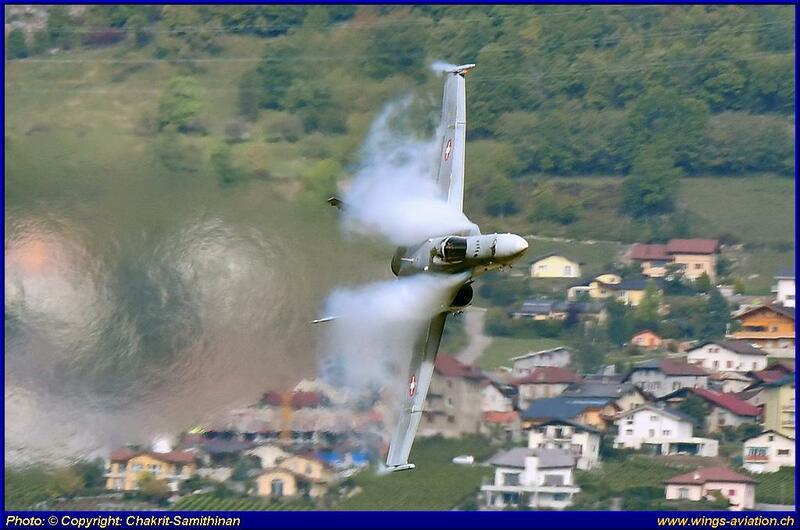 It was also clear that here was a display pilot who had flown the same routine already many times before and knew how to impress the audience. 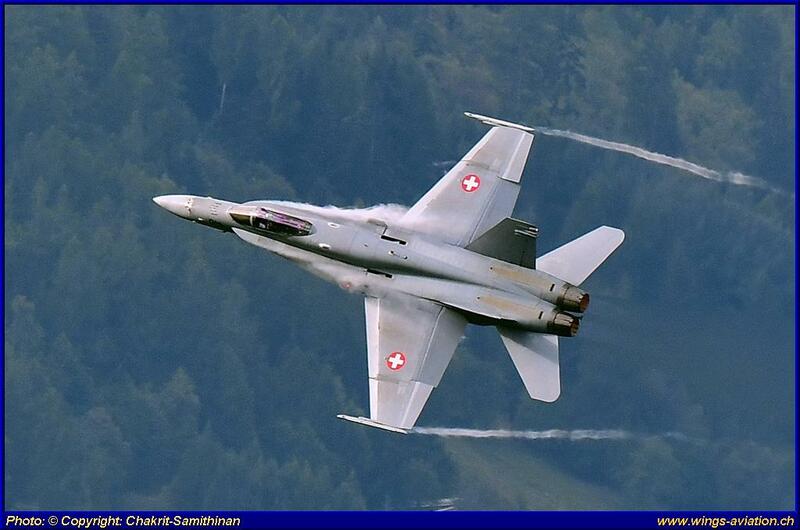 The F-18 from the Swiss Air Force performed the best solo display of all the jets. Looking at it and comparing it with the other aircraft one wonders if the successor to the F-18 might not just be some more of the same. 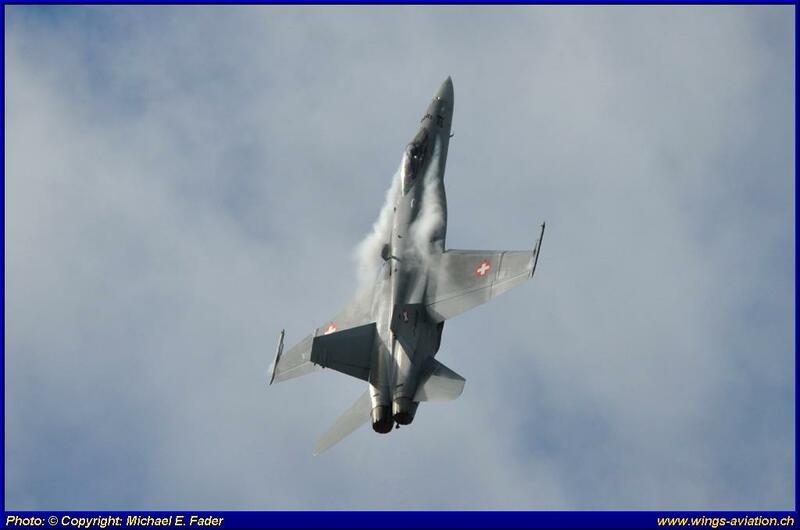 The F-18 was displayed in a manner that I haven’t seen before. 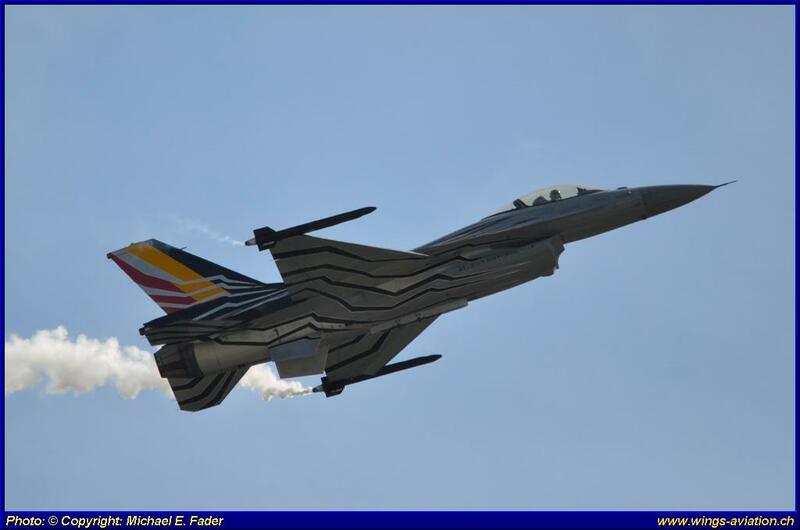 Belgians always fly their F-16 in a spectacular manner. 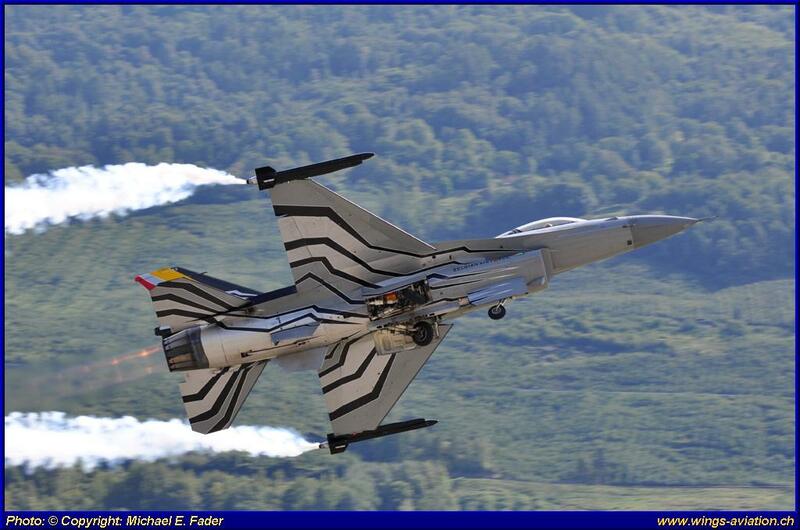 They also distinguish themselves by always having very fancy paint jobs on their display aircraft. Once again, they didn’t disappoint in both respects. 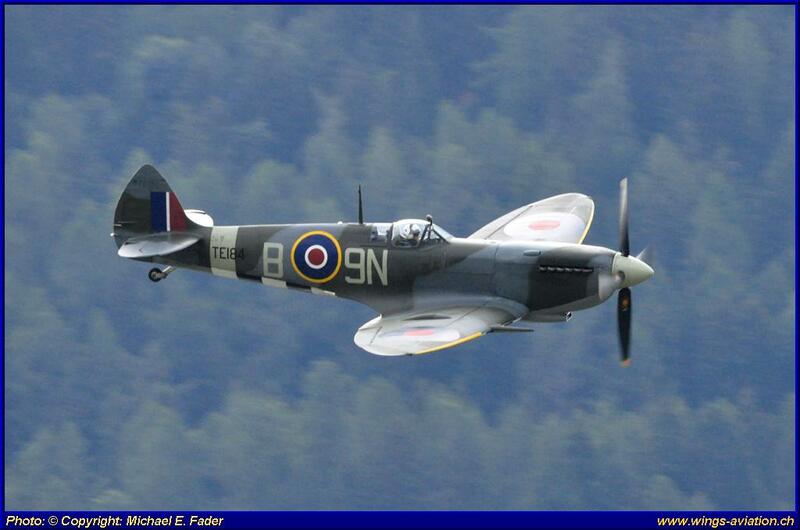 After the display on Saturday both aircraft departed for home in a spectacular manner. The Super Puma was the only helicopter flying display at the airshow even though it was not featured on the printed program. They did a short display without the usual demonstration of the external winch.